You don't have to wait until your next dinner out at a restaurant to enjoy Chinese hot and sour soup. 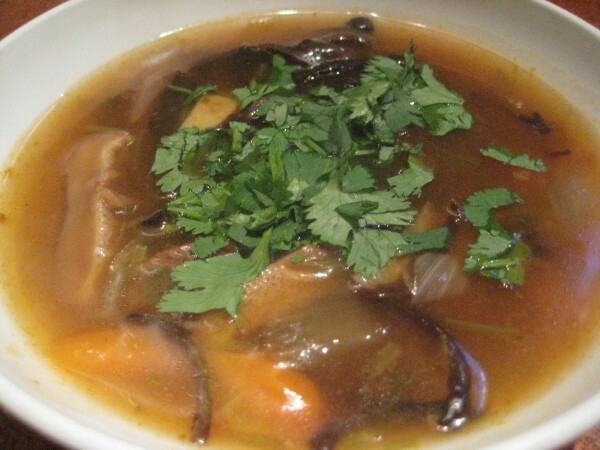 This page contains Chinese hot and sour soup recipes. I had no idea making Chinese hot and sour soup was so easy until my mother showed me how. If you don't have some of the ingredients, anything even remotely close to what you're missing totally works. This soup was always something I looked forward to ordering at restaurants, now I can make it at home for super cheap. Put the dried mushrooms in a bowl and cover with boiling water. Let stand for 15 minutes to reconstitute. Drain and rinse. If using fresh mushrooms, set aside. Add the ginger, chili paste (or hot sauce), reconstituted mushrooms (or fresh), and meat/tofu; cook and stir for 1 minute to infuse the flavor. Combine the soy sauce, vinegar, salt, and sugar in a small bowl, pour it into the pot and toss together. Pour in the stock, bring the soup to a boil, and simmer for 10 minutes. Dissolve the cornstarch in water and stir until smooth. Mix it into the soup and continue to simmer until the soup thickens. I definitely want to try this but I have a question. 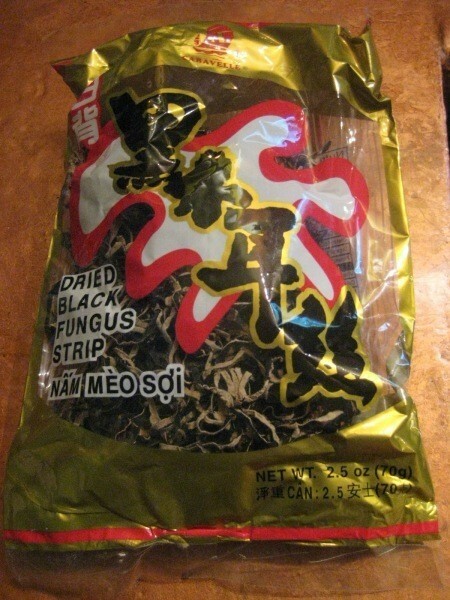 You attached a photo of some Chinese black fungus yet there is no fungus in the ingredient list. Did you forget to list it in the ingredients, or did you choose the wrong photo? If it's part of the recipe, when do you put it into the soup? Editor's Note: Those are the dried mushrooms (fungus) that are the first ingredient. "1 oz. of dried black mushrooms or regular fresh mushrooms, sliced". I have added the word fungus to the ingredients to make it more clear. Hello :) The fungus strips are the dried mushrooms in the recipe. Just follow step one to reconstitute them. You can just use fresh mushrooms or something completely different. I use the fungus strips aka "wood ear mushrooms" because I love the crunchy texture. Sometimes if I don't have any, I'll drop in long strips of thin cabbage at the very end of cooking the soup so it has the same crunchiness. It's very versatile! Hope you enjoy it!